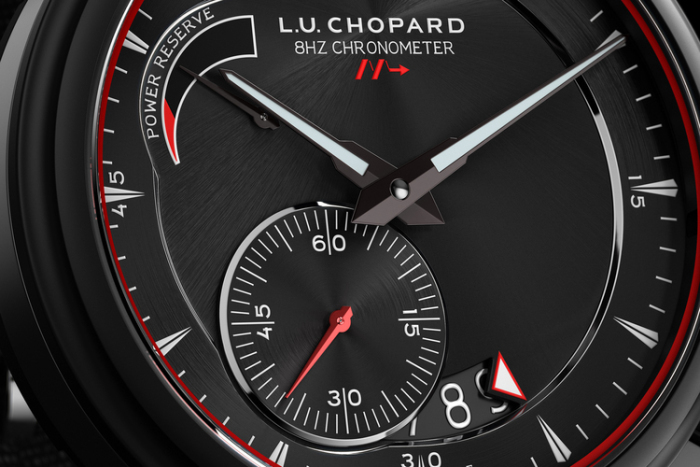 In 2012, Swiss-based Chopard became the first luxury watch manufacturer to make a movement that beats at 8 Hz (57,600 vph). 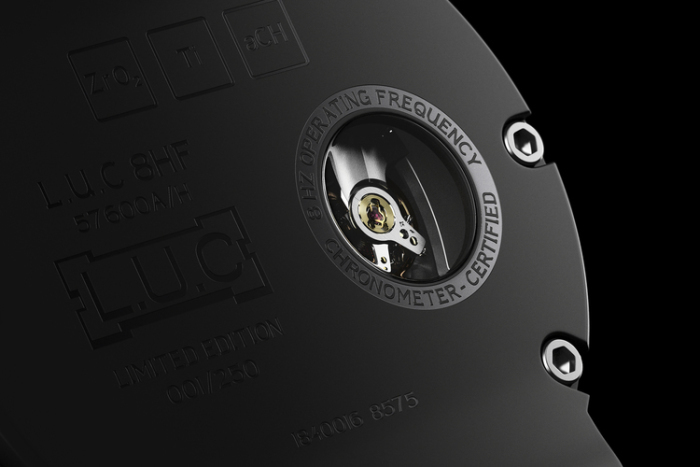 They introduced the COSC-certified L.U.C 01.06-L high-frequency movement with the release of L.U.C 8HF timepiece. 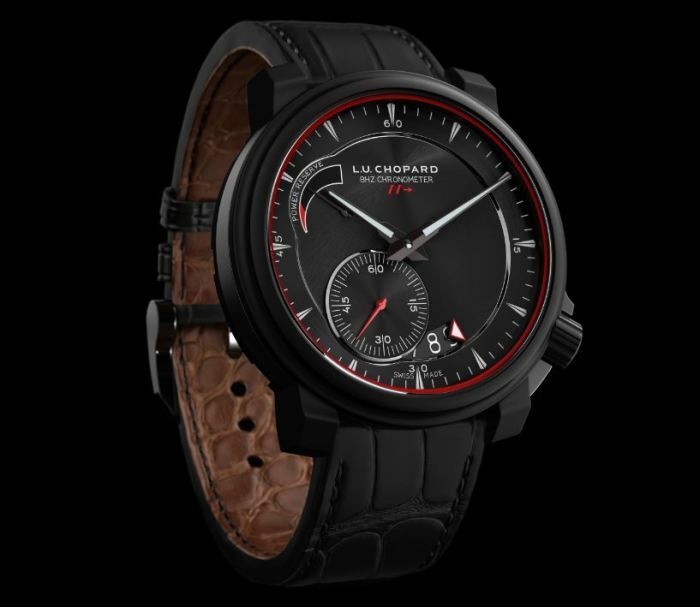 At the beginning of this year Chopard decided to use the 8 Hz movement once again, this time to power the limited edition L.U.C 8HF Power Control. 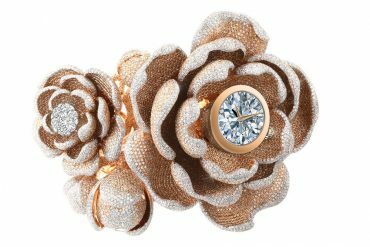 Chopard has further improved the L.U.C 01.06-L movement since its first launch. 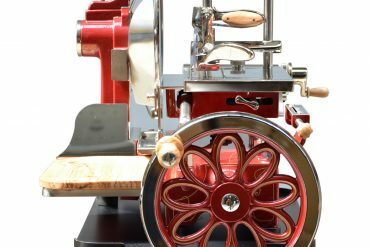 Some of its components, such as impulse-pin, lever and escape wheel are now made from silicon. They also developed a new method (patent pending) to fix silicon on steel, which is used for this watch. The advantage of high frequency is the accuracy, precision and stability of a caliber. A movement becomes more tolerant to disturbances and the L.U.C 01.06-L with 8 Hz provides extra bit of stability to the high-end timepiece. Most watches are powered by 4 Hz movements. 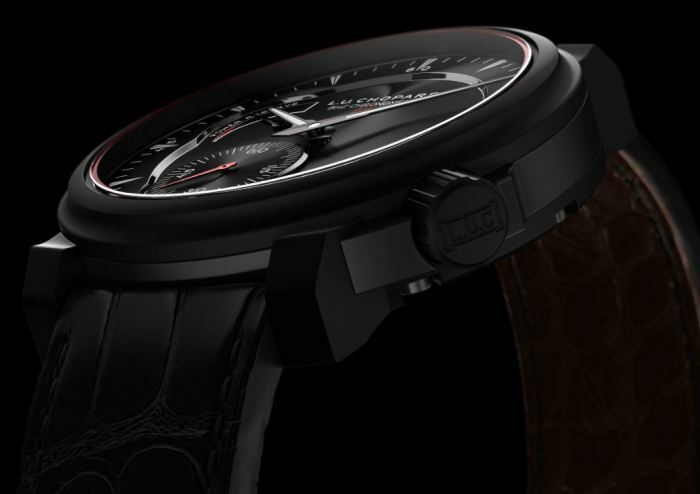 The L.U.C 8HF Power Control boasts a new design that includes a striking 42 mm case made from high-grade black machined ceramic, while the band around the case is light weight DLC titanium. 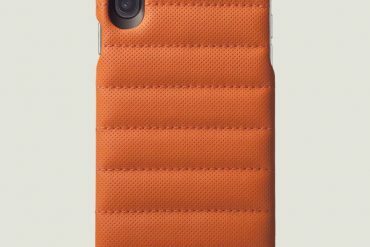 The crown along with the crown guard, lugs and case-back are made from the same high-grade black machined ceramic. 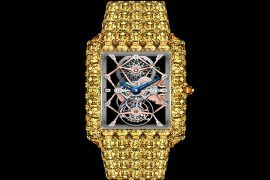 Intricate workings of the movement is visible through the small sapphire crystal window on the case back. 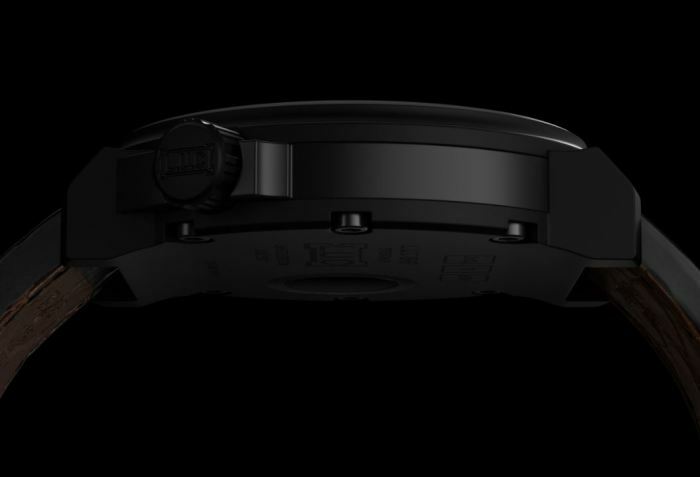 The watch is water-resistant up to 100 meters. 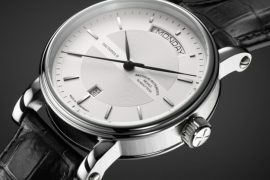 Its dial in black feature white hour and minute markers, black hands with luminous material and a date aperture between 5 and 6 o’clock in white along with a red and white pointer. The seconds subdial at 7 o’clock has a red hand and white markers. 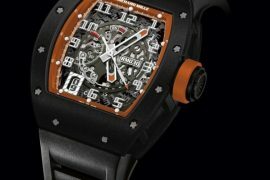 Boasting approximately 60 hours of power reserve, its indicator shaped like a horn is located at 10 o’clock. 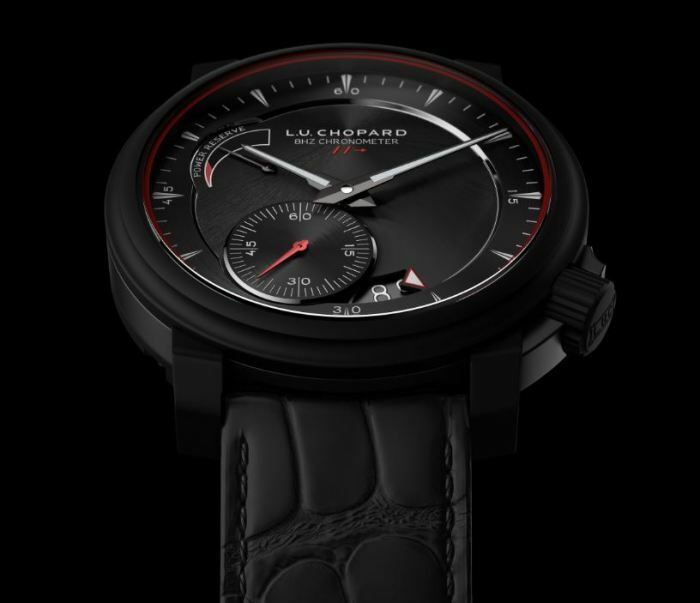 A 60 hour power reserve is a great achievement for a high-frequency movement that normally use more energy, Chopard engineers have done well to lower the power consumption. 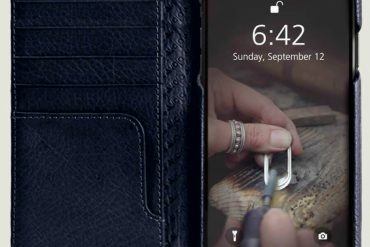 Completing the L.U.C 8HF Power Control is its hand-sewn matt black alligator strap with cognac-colored alligator lining and a titanium pin buckle. Limited to just 250 pieces, this exceptional timepiece come with a price tag of CHF 18,850 ($20,820 in the US).